“Garden house”, as my friend Angela calls is, is a true struggle. While I’m bent over sinking carrot seeds into the soil, the interior of our cottage is somehow slowly exploding with mud, dirty dishes, piles of laundry, and random bits of food. Feeling quite proud of my accomplishments, I’ll venture back into the cottage with a happy heart and empty seed packets. At which point, I open the door to “garden house”. At which point, I shut the door, turn around, and march right back out to the garden. I kid. I always clean up the mess. Most of the time. The good news is that hard work has already paid off this year and we’ve welcomed a healthy row of baby spinach into the world. Spinach smoothies! Spinach pizza! Spinach and eggs! 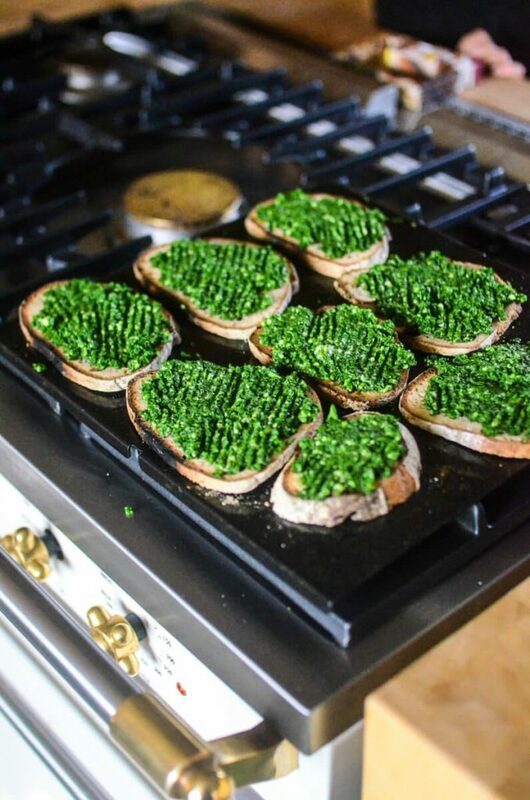 Spinach EVERYTHING! Seriously. Do you need some spinach? Because I’ve got some. 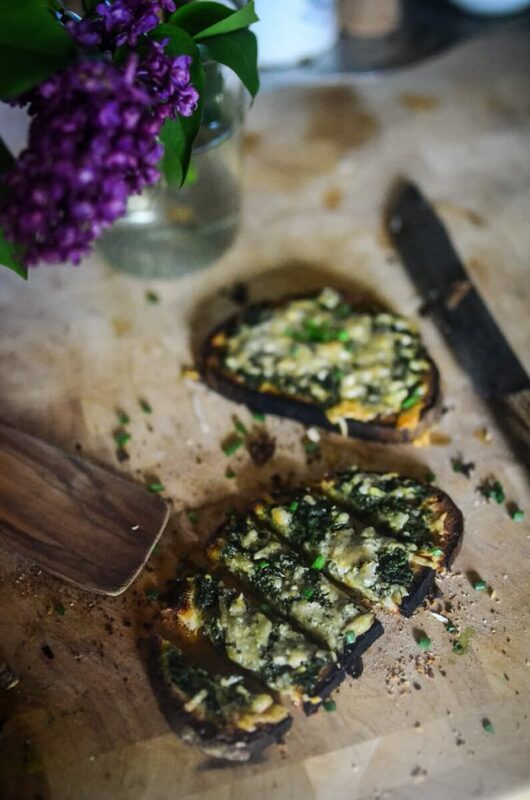 One supper, after a severe case of garden house, Spinach and Parmesan Toast was born. And I’ll never look back! Protein? Check. Carbs? Check. Vegetables? Check. Butter? Check. See? All the major food groups covered. 1. Place your bread under the broiler in your oven until the first side is just toasted. Flip them over, smear each slice of bread with a tablespoon of butter, and toast the second side as well. Remove from the oven. You could, of course, do this will a knife if you’re up for that. Usually I am. Garden house day? No. 3. 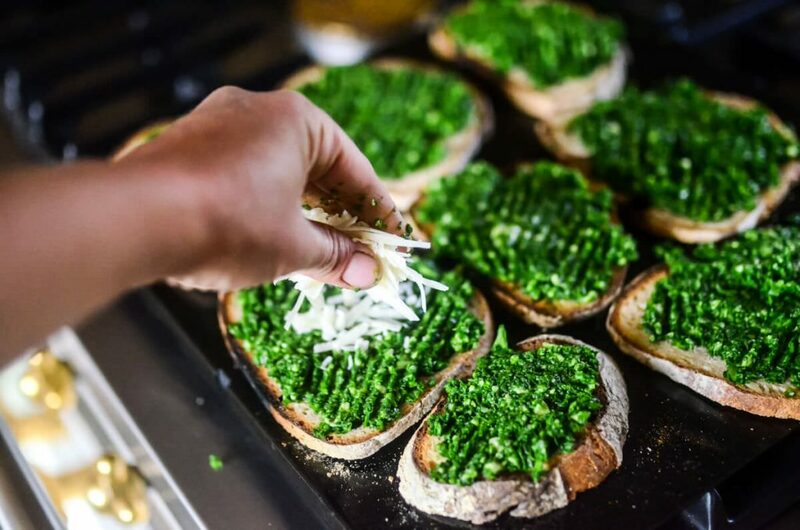 Spoon the spinach over the top of each slice of bread, distributing evenly, and smear it with a fork to coat the bread evenly. Let’s not make this more complicated than it needs to be, am-I-right? 4. Sprinkle the Parmesan cheese over the top of the bread slices, distributing evenly. If you don’t distribute evenly, it’s a written Law of Nature that some child will notice the distribution discrepancy and then you’ll have to spend twenty minutes lecturing about what’s “fair” and “not fair”. A good lesson, sure, but for one for today. Am-I-right again? 5. Lastly, pop those beauties back into the oven for just 2 minutes or so until the Parmesan begins to gently brown. 6. Remove. Slice, if desired. 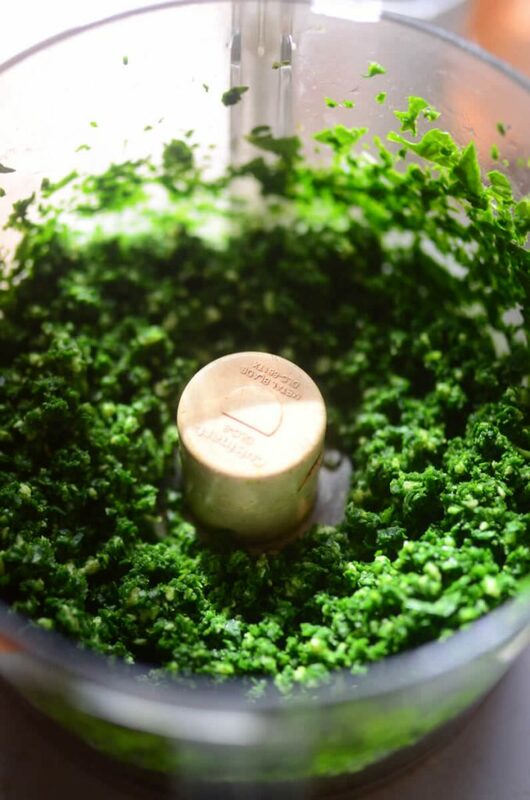 Sprinkle with fresh chives and a pinch of sea salt and black pepper. 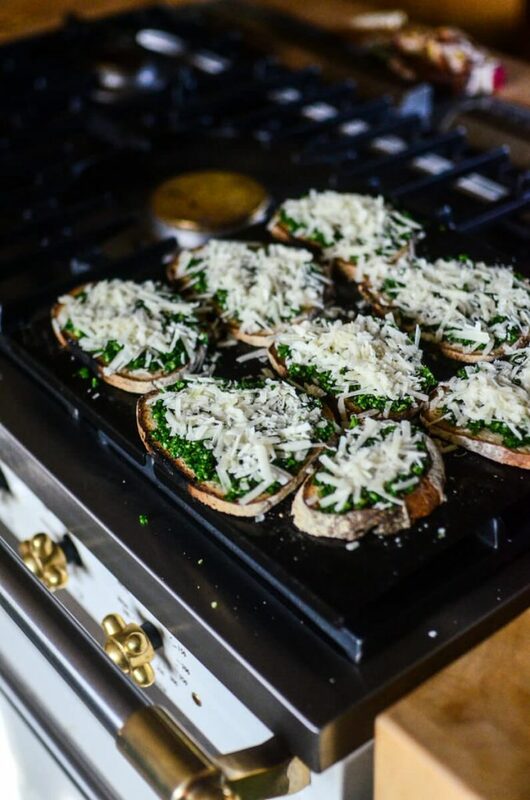 I say shazzam when I have a plateful of Spinach and Parmesan toasts, a nice glass of white organic wine, and a clean house (that I had to pay someone to come and clean, mind you… I’m not super woman!). « A serious perennial problem.